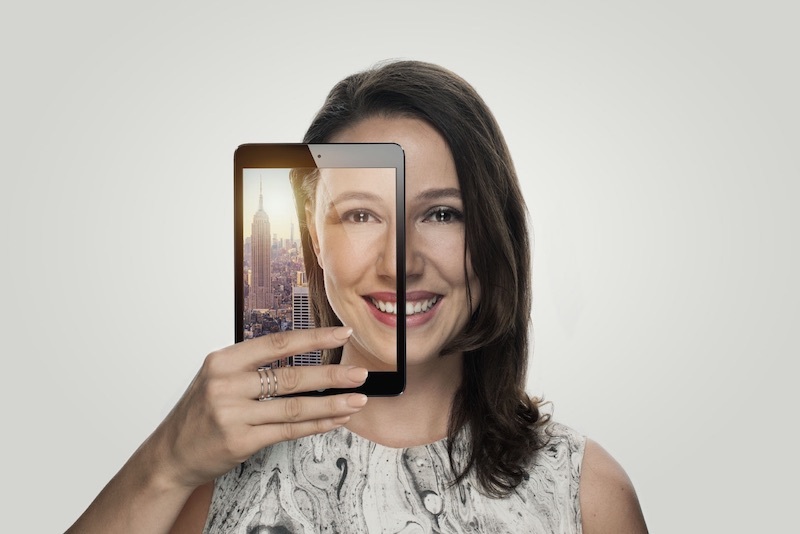 For over a year now, I have been part of Simon Pierro’s fantastic team of digital magicians. Simon and I go back a long way, so when he invited me to join him for ‘Magic Live’ – America’s biggest magic convention attended by 1600 professional and semi-professional magicians – I knew we would have a great time. Since the world of magic is rather new territory for me and ‘Magic Live 2017’ was going to be my first ever magic convention, I was super excited but had little idea of what to expect. To put it short, Magic Live, organized by the amazing Stan Allen, went far beyond my wildest expectations. They provided their guests with the most entertaining shows, jaw dropping close-up sessions and superb key note speakers, all of which kept me in awe the entire time. Julie Eng and Jonathan Levit did a great job at leading through the program with lots of humor, and engaged their guests in inspiring conversations during the general sessions. From Joshua Jay and Dr. Lisa Grimm talking about the psychology of magic, to Cyril’s revelation of his famous ‘Aquarium Illusion’, there were countless insights into the world of magic! Abbey Goldrake talked about the accident that caused her to fall 10 feet to the ground, while performing a double levitation with her husband, magician David Goldrake, leaving her paralyzed. The story of her slow and brave recovery was at the same time deeply moving and inspiring. It was highly entertaining to see Levin’s innovative ideas on 3D printing for magicians. He gave us a hilarious step by step guide on making costume-made gimmicks during the general sessions. A personal favorite of mine was a talk by Richard Turner and director Luke Korem about their documentary ‘Dealt’. It will be released this fall and I can’t wait to watch Turner, who is one of the world’s greatest card magicians and completely blind, pursue his quest for perfection. David Williamson talked about being ringmaster at the circus show ‘1903’, currently performing at the Paris in Vegas. And it was an absolute pleasure listening to Denis Behr talk about all the work and passion he put into creating ‘The Conjuring Archive’, an online database for magic publications that is accessible for free. 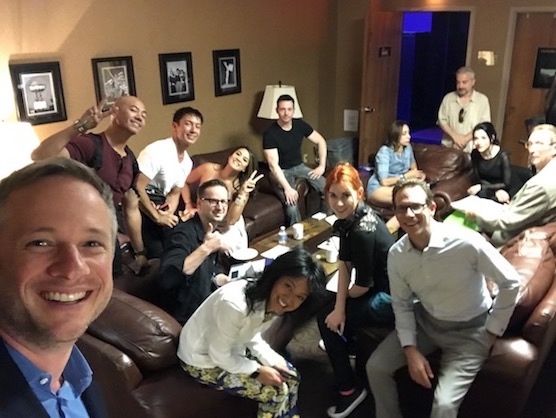 The Final Thayer Mystery, which was performed for two days and especially designed for the convention, had everyone in the room – from renowned magicians to novices – group up to find the clues, through 49 boxes, to a riddle provided by the show’s creators, Michael Borys and Alex Lieu. Only if every group had solved their challenges with the help of everyone else, would the final mystery be revealed. Michael and Alex also took the stage the next day to talk about the idea behind the 49 boxes used in the experiment and what had inspired them. 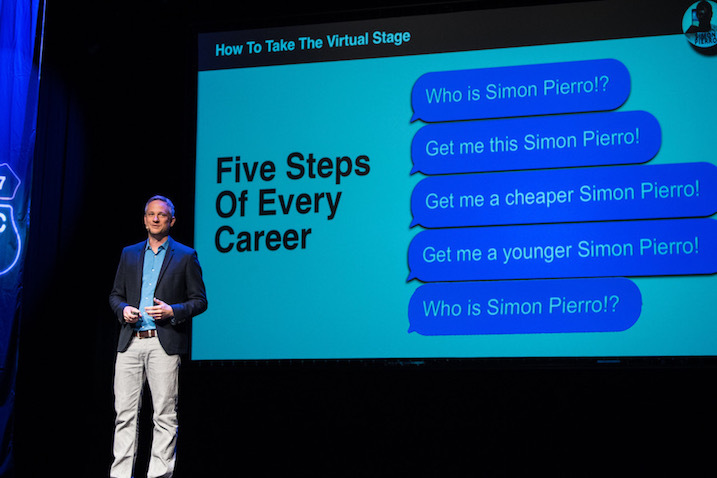 A special highlight, of course was Simon’s key note speech ‘How to Take the Virtual Stage’, providing fascinating insights into his use of YouTube and how he became the “iPad Magician” and a viral phenomenon with his groundbreaking combination of technology and magic. He also shared his approach to his work and how to stay creative in the age of digitalization. Simon explained how he drew on already developed numbers when conceptualizing his show for ‘Ellen De Generes’, as well as keeping his fans engaged through YouTube with new ideas and encouraging them to develop their own and share them on digital platforms. In the evening Simon performed at the Gala, presenting his much talked about ‘3D printer illusion’ in which he prints a life version of himself. He finished his show with an emotional tribute to the incomparable Cardini, incorporating an iPad version of his famous glove. 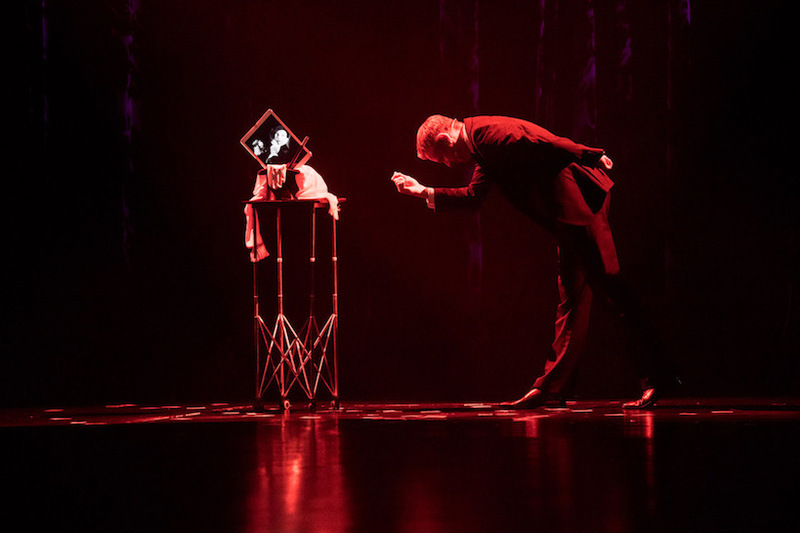 Simon, as well as magicians like David Goldrake, John Archer, PoCheng Lai, Niek Takens and juggler duo Passing Zone were part of the fabulous evening entertainment of ‘Magic Live 2017’. You could spot celebs like David Copperfield, Criss Angel and Siegfried (of Siegfried and Roy fame) sitting in the audience or having a drink with other magicians at one of the casino’s bars. 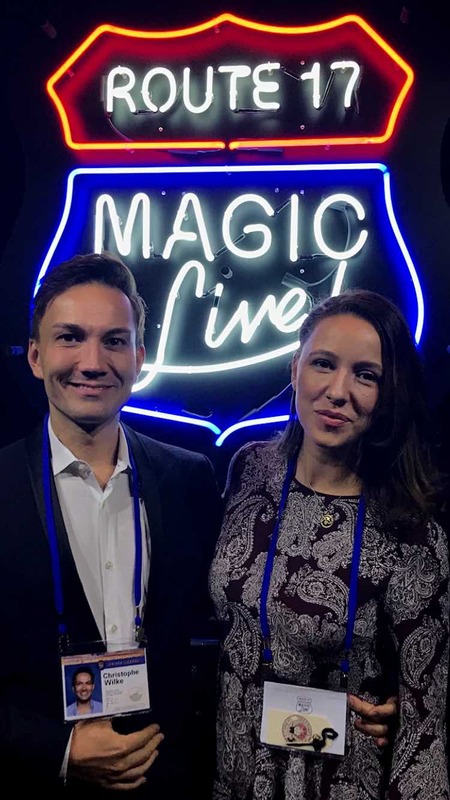 There was an incredible buzz with people showing off their latest ideas and gimmicks and providing sheer endless entertainment and insight into the passion that drives the world of magic. Las Vegas, to me felt like an almost otherworldly experience, from the moment the plane flew over the dessert and gave view to the city, with its thousands of colorful lights and themepark-like casinos. 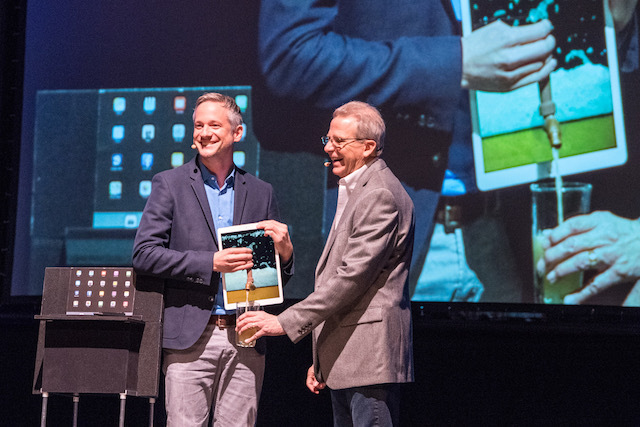 After ‘Magic Live’ ended I was able stay on for a few days together with Christoph Wilke, another member of our wonderful team, who’s been performing iPad magic worldwide for over six years. While Simon was performing in San Antonio, Texas, Christoph and I had the opportunity to catch a couple of shows, including Circle de Soleil’s ‘One’. It was one of the most perfectly executed shows I’ve ever seen – another highlight of our trip! If you’re a Michael Jackson fan (and who isn’t? ), it’s a must! Thank you so much, Simon – I had an absolutely wonderful time in Vegas and most importantly, at Magic Live 2017. I got to meet fascinating people and listen to their stories of success and persistence, all the while being perfectly entertained. There’s no doubt, I will be back next year!